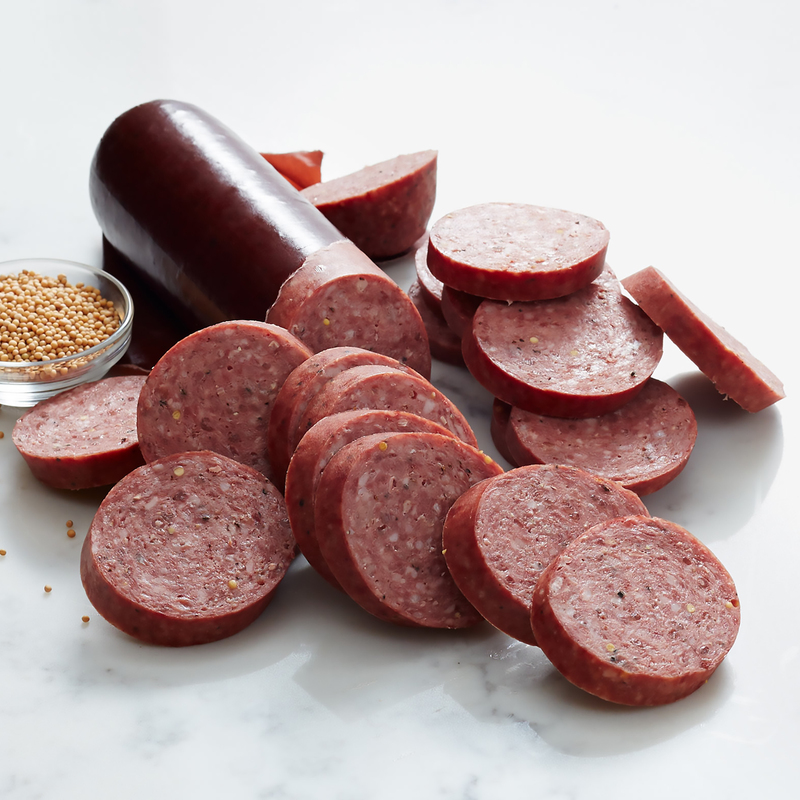 With 100% premium North American beef, hickory smoke, a hint of mustard seed, and a dash of pepper, it's no surprise our Signature Beef Summer Sausage is an award winner! This generous 26 oz serving is plenty to feed a crowd. Sliced thin, it's a delicuous addition to any cheese and sausage platter. 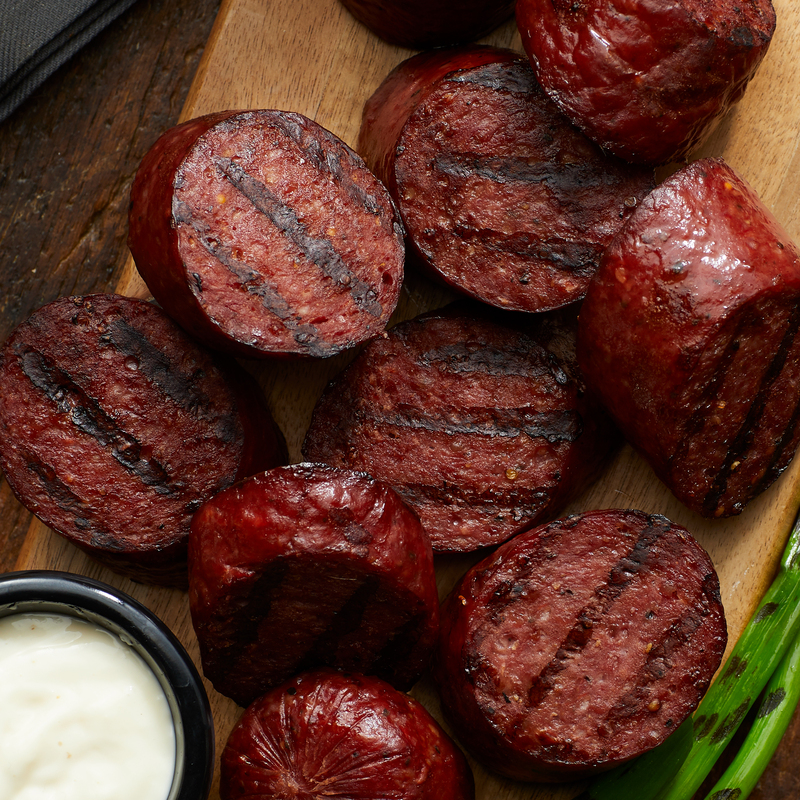 Serve with crackers and mustard, and our famous beef sausage becomes a hearty snack at your next party!